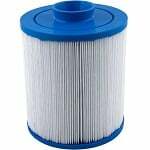 Here at Filters Fast, we carry a broad variety of pool and spa filters adequate for your water purification needs. Here at Filters Fast, we carry a broad variety of pool and spa filters adequate for your water purification needs. One of the many brands that the filters we carry replace is Splash Tub.